 This article is a continuation of a two-part article on traumatic brain injury. Part 1 covered severe traumatic brain injury while part 2 addresses "mild" less severe traumatic brain injury. During trauma, illustrated above, the brain impacts against the inside of the skull. 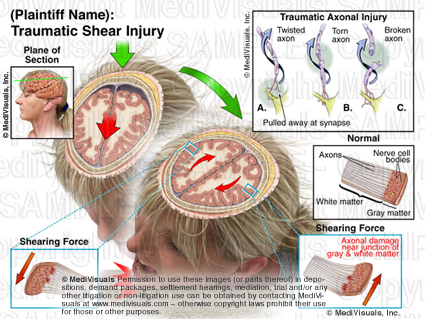 Shearing injuries often occur because the gray and white matter are of different densities; therefore, the axons tear at the junction of the white and gray matter. 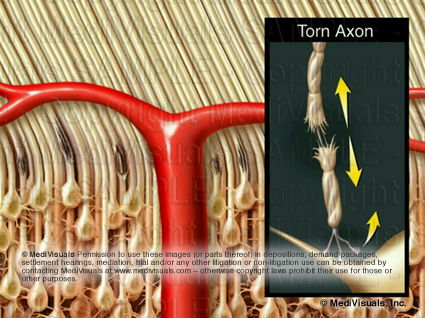 The injuries can consist of torn or twisted axons, or the axons can pull away from their synapse. 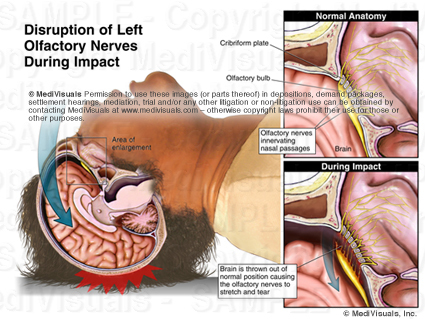 Axonal injury can also occur without the head striking an object. This often occurs in collisions. 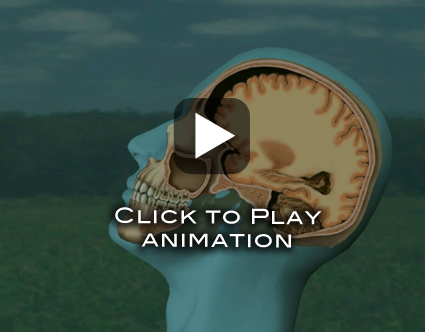 During a sudden deceleration injury, the brain impacts the inside of the skull in a coup - contracoup fashion, which means that the brain first impacts the area of the skull receiving the trauma and then impacts the area of the skull directly opposite of the trauma, as seen in the animation below. As a result, shock waves of the forces travel through the brain. 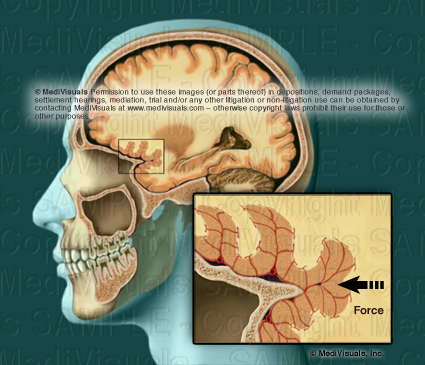 During sudden deceleration, the brain impacts on the hard jagged ridges of the base of the skull causing shearing forces, as depicted in the illustration below. Blood vessels may also become torn or broken during a TBI, resulting in bleeding (see image below). An MRI or CT is not capable of detecting individual or even relatively large areas of axonal injury. Lesions detected by MRI or CT are typically areas of hemorrhage, if the hemorrhages are large enough. Axons range in diameter from 1/4 of a micron to 10 microns while blood vessels range in diameter from 30 to 240 microns. 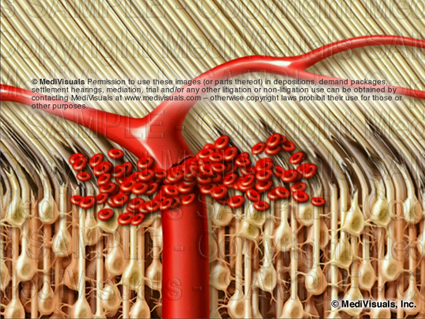 If forces are sufficient to tear the much larger and resilient blood vessels (see illustration below), it is certain that numerous axons in the adjacent and other areas are torn as well. However, axons may be torn without injury and significant hemorrhage from nearby blood vessel is not torn, so the absence of findings on MRI or CT DO NOT RULE OUT traumatic brain injuries. When hemorrhaging is not involved, traditional imaging studies, such as MRI or CT, are able to detect only large areas of axonal injury where thousands of axonal injuries create an area of abnormality large enough to be detected. The loss of the sense of smell is an indicator of traumatic brain injury. The image below depicts the normal olfactory anatomy with the olfactory nerves extending through the cribiform plate and innervating the nasal passages. During trauma to the head, the forces can be great enough to sever the relatively large olfactory nerves, which affects the sense of smell. Forces sufficient to injure the olfactory nerves are certainly sufficient to result in diffuse axonal injuries throughout the brain whether evident on imaging studies or not. Problems with many functions (such as hearing, speech, and balance) following head trauma can result from injury to axons anywhere along the pathway involved in performing those function. 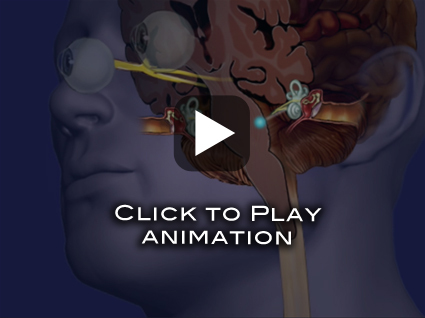 For example, the ability to repeat a spoken word requires the proper function of the neural pathways for hearing and speaking, as shown in the animation below. 1) Rely on changes of behavior and cognitive function as reported by family members, coworkers and friends. Casual examinations by a physician may not result in a diagnosis. 2) The absence of physical brain injuries on traditional MRI or CT DOES NOT RULE OUT brain injuries. 3) Correlation of traumatic forces with injury to the specific areas of the brain that control those functions is very important when proving a "mild" less severe traumatic brain injury.